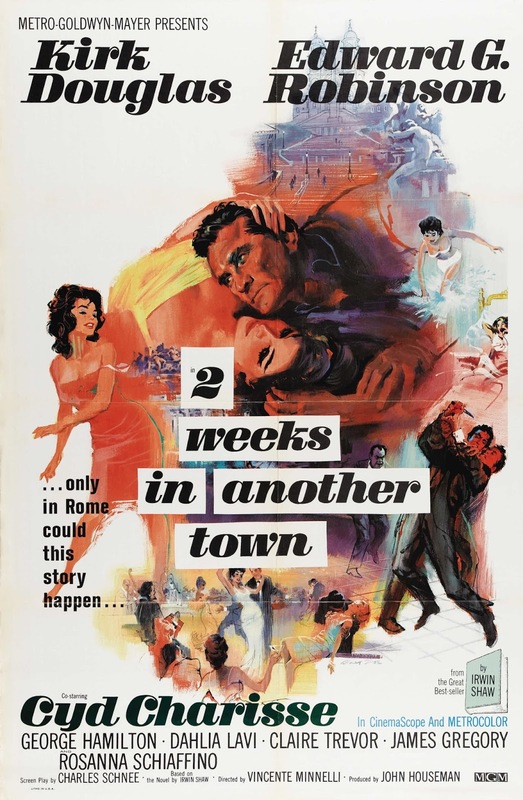 The opening moments of Vincente Minnelli's Two Weeks in Another Town shows Jack Andrus (Kirk Douglas) walking around the grounds of the sanitarium that's been his home for some time. Once a big movie star, now nobody would touch him with a ten-foot pole. 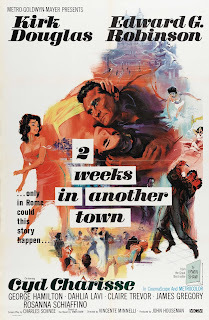 Well, except for director Maurice Kruger (Edward G. Robinson), and even that isn't without its own melodrama. Temperamental actors, a movie going overbudget and way past schedule, snarled romances, and feuds on set and off. These are the things plaguing both Jack and Maurice in Two Weeks in Another Town. Jack's ex-wife Carlotta (Cyd Charisse) -- who was responsible for landing him in the sanitarium -- tries to seduce him back while Maurice's wife Clara (Claire Trevor) spends most of her time screaming at her husband. No wonder they're the way that they are. This isn't the first time Minnelli and Douglas tackled Hollywood; in the previous decade, they had made The Bad and the Beautiful. 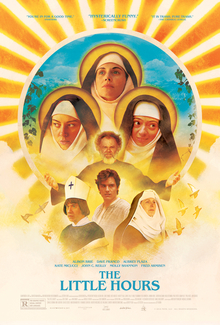 (Snippets of the earlier film are shown as a previous work of Jack's.) But in comparison with the two, Two Weeks in Another Town is decidedly less jaded in depicting behind-the-scenes shenanigans. 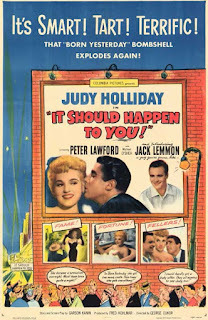 Gladys Glover (Judy Holliday) hasn't had the best day at the start of George Cukor's It Should Happen to You. She just lost her modelling job due to a slight shift in her measurements, and now she's despondent at losing her chance at becoming a somebody. Then she sees some available billboard space, and an idea pops into her head. 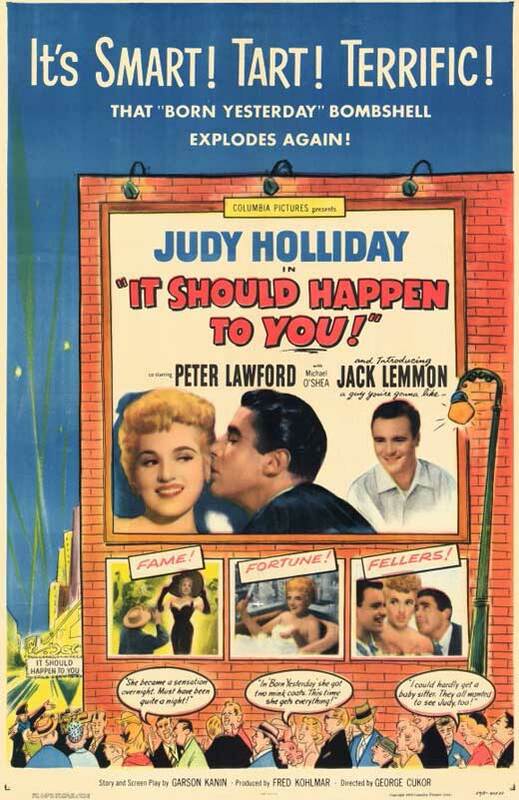 Also of note in It Should Happen to You is Jack Lemmon in his first major film role. As he would later show with his Billy Wilder collaborations, his Pete Sheppard keeps a can-do spirit despite being the universe's human punching bag. You just can't help but root for him. What is there after it's all over? It's been speculated for centuries what happened when someone dies, if there's anything in the hereafter. Does heaven actually exist or does reincarnation? Or is there nothing waiting for us in the end? David Lowery's A Ghost Story explores what waits for us in the hereafter. Following the bedsheet-clad spirit of a man (Casey Affleck), we watch as he stands idly by in his home as his wife (Rooney Mara) tries to cope with the loss. But there's more to the story Lowery has presented. 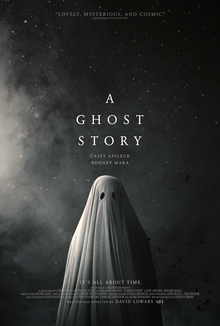 In a way, A Ghost Story is similar to Affleck's previous film Manchester by the Sea in their depictions of life and its hardships. It's true that you can't expect everything to be either in your favor or to stay the same. Everything in life has to change, it's natural order. To expect routine is impossible. Also explored in A Ghost Story is how you'll be remembered when you're gone. (In fact, there's a segment in the film that focuses on that very thing.) That's why so many people want to become famous in some way: to know that they're not forgotten. World War II is often a go-to source for media both fictional and factual. Sometimes those involved in these projects were also participants of the many battles, other times it's from those who did extensive research. Either way, there's been a barrage of them ever since the fighting's conclusion over seventy years ago. 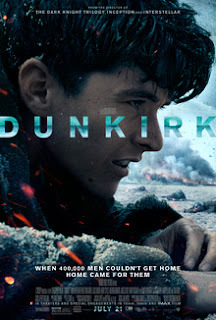 With Christopher Nolan's Dunkirk, he explores what happened after the Battle of France and the evacuation of Allied soldiers from the benches of the titular French commune. Using three perspectives of the events (and using his now-familiar non-linear storytelling), he depicts a non-glorified re-telling of history. But how well does he do it? But Dunkirk isn't only Nolan's shining achievement; many of the technical aspects make the film what it is. The combination of Hans Zimmer's score and Hoyte van Hoytema's cinematography make for a claustrophobic pairing. (That's a good thing, mind you.) And like Saving Private Ryan before it, it'll take your breath away.